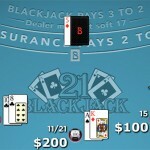 Blackjack is one of the most popular casino card games. It is played around the globe in live casinos, as well as online. 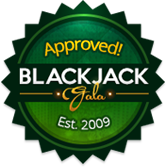 If you are interested in getting in to blackjack put don’t know the rules you will find that it’s easy to learn how to play blackjack. Following are the basic rules of this popular card game. Blackjack is played one-on-one against the dealer. 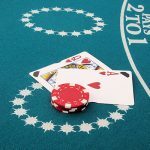 Although there may be several players sitting at one table, each player is only in competition with the dealer. The objective of the game is to acquire a hand of cards that is worth a higher value than that of the dealer, without breaking a total of 21. Breaking 21 is known as “busting” and results in an immediate loss. The value of a hand in blackjack is determined by adding together the values of the cards in the hand. Numbered cards are worth their face value (i.e. the 4 of Spades is worth 4 points); Aces are worth either 1 or 11 depending on the other cards in the hand; and 10s, Jacks, Queens and Kings are worth 10 points. 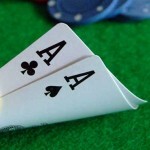 A Jack (or other 10-valued card) and an Ace are worth a total of 21 together and this hand is known as “blackjack”, which is where the game gets its name. Before a game of blackjack begins, players must place bets. 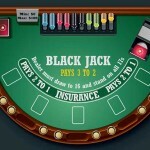 If you are playing a free game of blackjack online then you can play with fun money. In a live casino or real money game of blackjack online you will bet real money. Always choose a table with limits that meet your bankroll and never bet more than you can afford to lose. 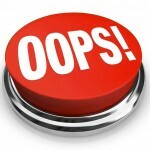 It is important to note that rules regarding doubling down and splitting vary from casino to casino, so it’s important to double-check the rules before you begin playing. Once the players are satisfied with their hands the dealer reveals his face down card. If his hand is worth 16 or less he must hit. 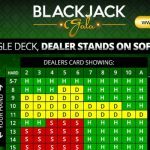 Also, some casino blackjack rules require the dealer to hit on “soft 17” as well, which is a card made up of a 6 and an Ace valued at 11 points. 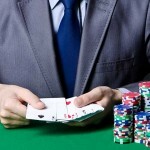 Once the dealer has hit, if necessary, hands are compared and winners are determined. 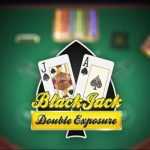 Again, it is important to note that more specific blackjack rules vary from casino to casino and blackjack variation to variation. Familiarize yourself with the particular rules of a specific game before you begin to play for real money.